SCOTTSDALE, AZ December 12, 2009 – USTA Central Arizona hosted their season ending QuickStart Tennis Carnival for the children of the Washington and Madison School Districts. This event was made possible by Discount Tire Co, the United States largest independently owned tire retailer. They were district sponsors of the Madison and Washington School Districts. 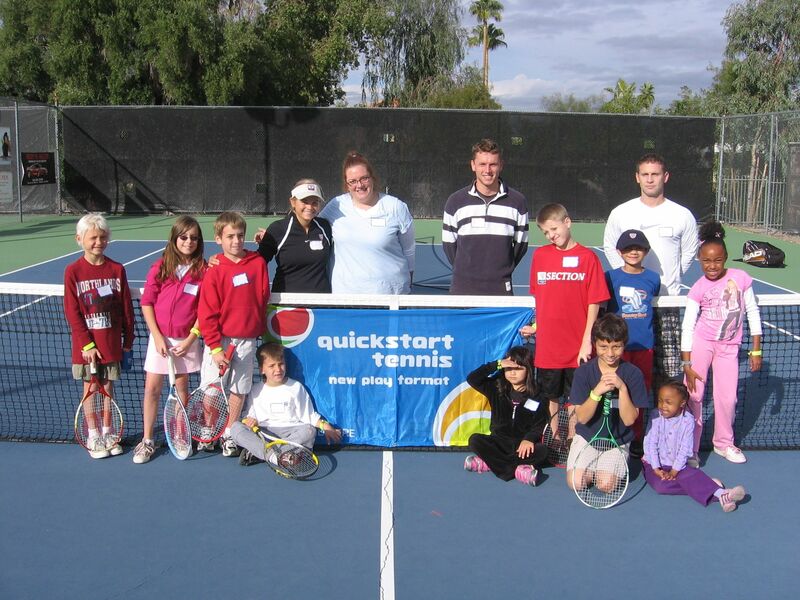 The children that played in the QuickStart Carnival had all participated in the USTA Central Arizona After Schools Tennis Program this fall. Some of the children participated in an informal QuickStart tennis tournament where they played singles and doubles. The other children went through a station rotation where every child:	hit for prizes, targets, and competed as a team in relay races. The QuickStart Tennis Carnivals are designed to give the children the opportunity to showcase the skills that they learned throughout the six (6) week After Schools Tennis Program to their parents and peers. Children are rewarded for their hard work and dedication to learning the game of tennis. At the end of each tennis carnival, the parents and players celebrate their success at a pizza party. The USTA Central Arizona After School Tennis Program is a cutting edge QuickStart Tennis program for children ages, 4-10. The program uses age and developmentally appropriate equipment, where children can learn to play tennis immediately. The overarching goals of our program include the following:	help young people succeed in life, while using tennis as the pathway, offer a consistent and successful curriculum, designed by world renowned educator Dr. Robert Pangrazi (ASU), get more kids playing tennis at a younger age, and grow the base of community tennis players. 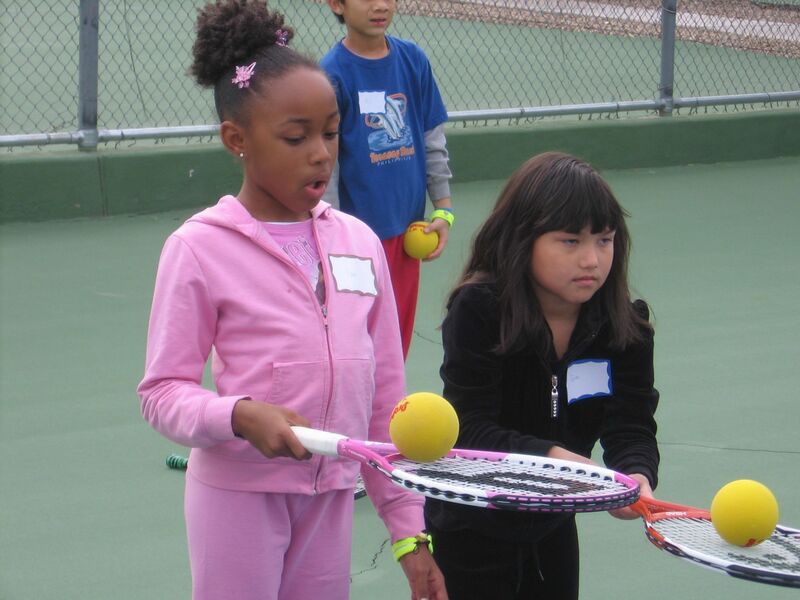 The After School Tennis Program stresses the importance of team based competition, keeping the kids engaged in tennis. Statistics have shown that QuickStart tennis drastically improves the retention rates of beginner children, staying involved in tennis. The USTA is the national governing body for the sport of tennis in the U.S. and the leader in promoting and developing the growth of tennis at every level -- from local communities to the highest level of the professional game. A not-for-profit organization with 730,000 members, it invests 100% of its proceeds in growing the game. It owns and operates the US Open, the highest attended annual sporting event in the world, and launched the Olympus US Open Series linking 10 summer tournaments to the US Open. In addition, it owns the 94 Pro Circuit events throughout the U.S., is a minority owner and promotional partner of World TeamTennis, and selects the teams for the Davis Cup, Fed Cup, Olympic and Paralympic Games. The USTA philanthropic entity, USTA Serves, provides grants and scholarships and through tennis, helps underserved youth and people with disabilities to improve academics, build character and strive for excellence. For more information on the USTA, log on to usta.com.